Hot showers, both indoor and outdoor. 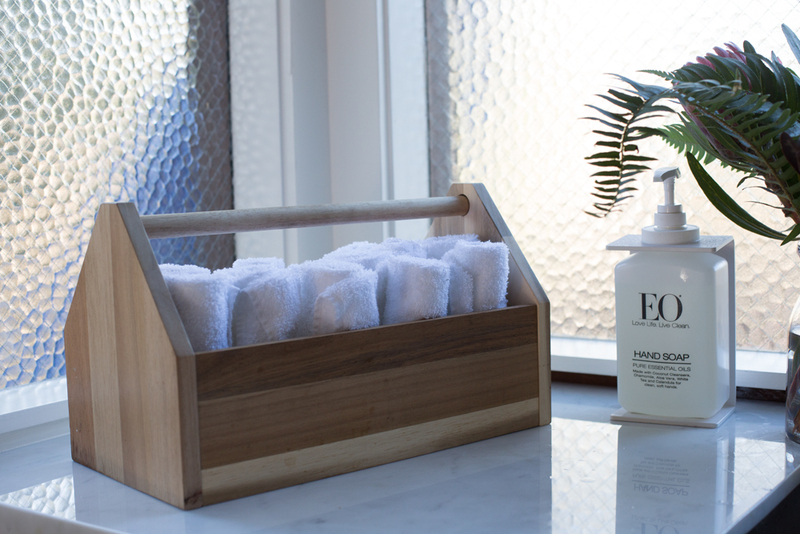 Organic bath products—because “glamping” rhymes with “pampering” (sort of). Recharge from the day with a long hot shower. 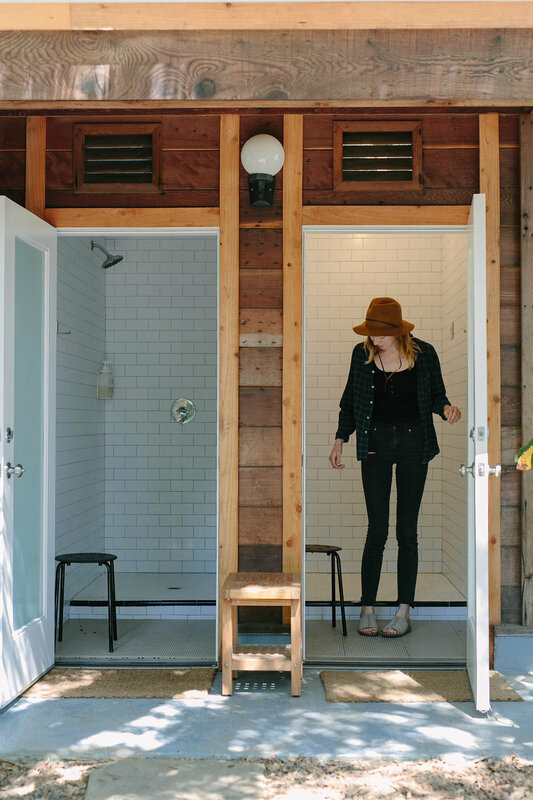 Grab a basket of fresh towels from your tent and head up to the bath house where you’ll find beautiful indoor and outdoor showers and well appointed restrooms. 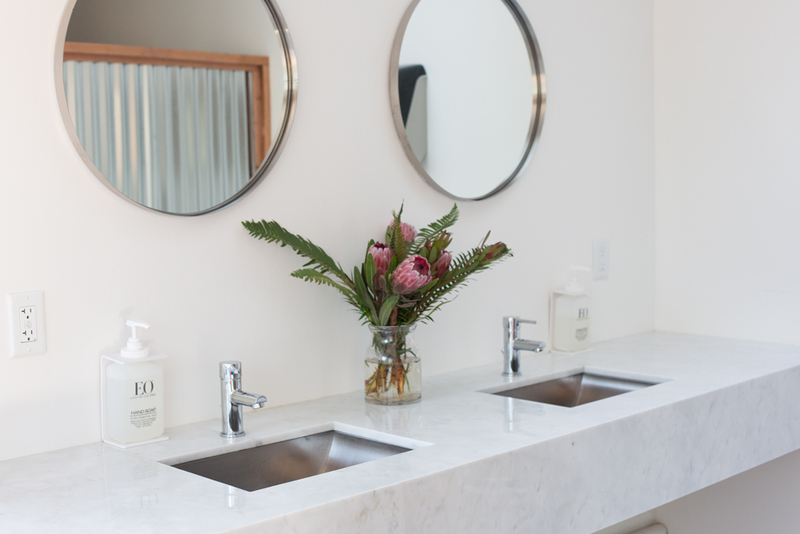 Nicely lit and stocked with EO Marin bath products, extras like fresh flowers, and oversized stalls for family clean-up, the bathhouse is centrally located and sure to be a well visited destination during your stay.